Anyhoo, here is a photo tutorial to help clarify a few areas. 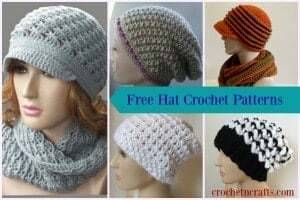 Hope you will enjoy this stitch, and you can see my free patterns using this stitch in the Happy Holidays series. 1.) 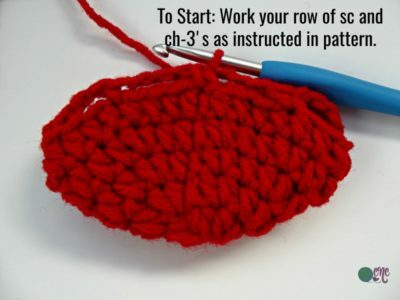 So to get started on the stitch you want to work a round made up of single crochets and chains. 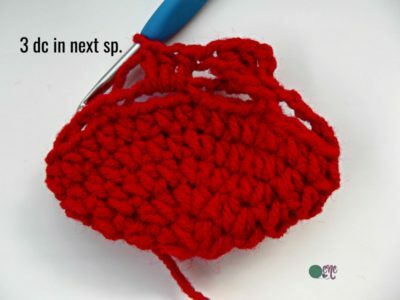 You will need a multiple of 4 for your stitch count in previous Rnd. The pattern for this Rnd is as follows: Ch 1, (sc, ch 3) in same st as join, *sk next 3 sts, (sc, ch 3) in next st; rep from * around; sk last 3 sts; join with sl st in first sc. 2.) In the second Rnd you begin by slip stitching into the first ch-3 sp. 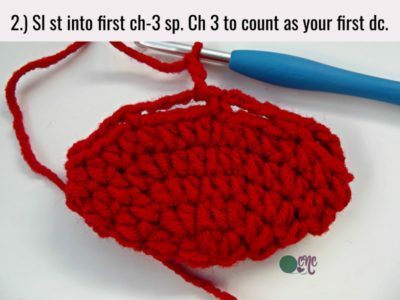 Then chain 3 to count as your first double crochet. 3.) Now work another 2 double crochets into the same space. 4.) 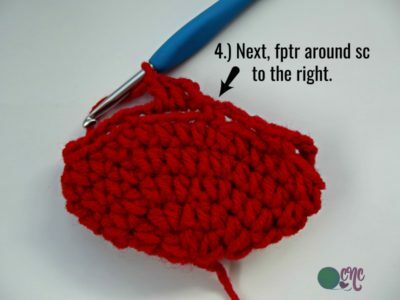 And now for the fun stuff… You will backtrack and work a Front Post Triple (or Treble) crochet around the first single crochet. 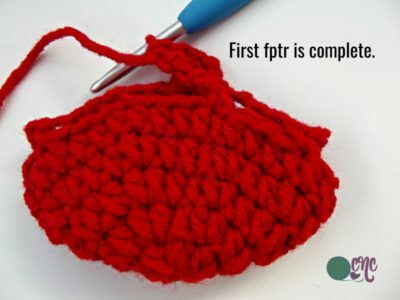 Here you can see the first front post triple (fptr) crochet completed. Then continue in established pattern… Work 3 double crochets in next space. 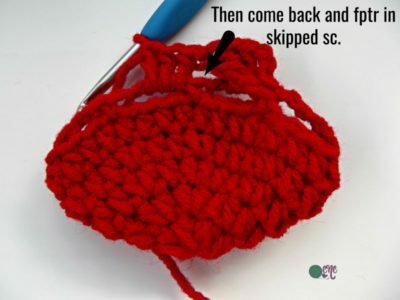 Then come back and front post triple crochet around the single crochet. 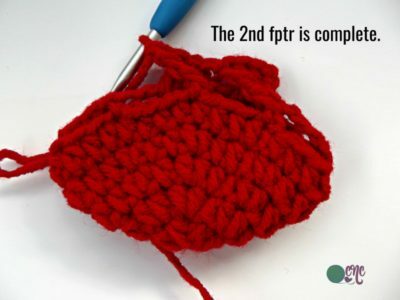 Here you can see the second fptr. And that’s it! 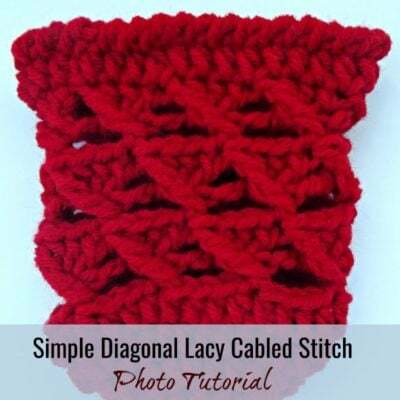 Keep rotating the two rounds for a super cool diagonal cabled fabric.